Peter Ould writes: The recent BBC commissioned poll on belief in the Resurrection of Jesus has attracted a lot of media attention. Gavin Ashenden, the former Queen’s Chaplain, pointed out in a letter to the Times (and subsequent news piece) that belief in the resurrection is a core Christian doctrine. If you don’t believe in the resurrection, how can you call yourself a Christian? On the back of this I thought it would be interesting to look at the ComRes poll and dissect what the “Christians” in the survey actually look like. The poll includes, very helpfully, a measure of how often someone attends church (once a week, up to 3 times a month, etc) and this allows them to categorise some of the Christians as “active” on the basis of their attendance. This is in sharp contrast to YouGov who do not use this stratification and consequentially report as “Christian” those people who never actually engage in any public forms of Christian worship. I took the ComRes poll and produced a new column for “inactive Christians” by subtracting the active Christians from the total Christian sub-sample. I then put the non-Christians and no religion group together. This gives us three groups to look at: active Christians; non-active Christians; and non Christians. I then calculated what the margin of error was on each of these sub-samples and looked at the confidence intervals for my three groups on each of the key questions. We look at confidence intervals because when we use samples in opinion polls, the percentage figures we report are only estimates of the true population position. Let me use a political example to explain. Say ComRes did an election opinion poll of 1,000 people, and asked them who they would vote for, and 40% said “the Peter Party”. Because there are just over 64 million people in the UK, even if we make sure that our 1,000 people questioned are a fair representation of the population, we can’t guarantee getting the true result for all 64 million people. We use margins of error to create a confidence interval which shows us the most likely range of the true figure of support in the total population. So although our sample of 1,000 people say that 40% would vote for yours truly, the margin of error on a sample of 1,000 from a population of 64 million is around 3%, so our 95% confidence interval for the true answer is 37% to 43%. To put it another way, based on asking 1,000 people how they would vote, we think the level of support for the Peter Party is 95% likely to be between 37% and 43%. Now all we have to do is add one more piece of statistical insight and we can look at the ComRes/BBC poll. The final piece of the puzzle to understand how to interpret polls is to recognise that when two different observations have confidence intervals that fall across each other, we say that there is no statistical significant difference between them. Let’s use an example to explain. In the same pretend poll that gave a 40% figure for the Peter Party, we found a 35% level of support for the Ian Party. Now that result comes from the same 1000 people, so the 35% result also has a margin of error of around 3%, leaving the 95% confidence interval for the Ian Party as 32% to 38%. Even though the Ian Party polled 5% points lower than the Peter Party, because the Ian Party’s top confidence interval level (38%) is higher than the Peter Party lowest confidence interval level (37%), we cannot actually say that the Peter Party has a statistically significant lead. If, on the other hand, the Ian Party had polled 33%, then its confidence interval (30% to 36%) would be outside the bounds of the confidence interval of the Peter Party (37% to 43%) and so we would be able to say that the Peter Party has a statistically significant lead. OK, to business. Let’s look at the first question: Do you believe in the resurrection of Jesus? 301 active Christians said they did (93.2%), 433 non-active Christians did (62.3%) and 496 of those who said they weren’t Christian did (14.0%). The non-Christians are comprised of all those who gave another religious identity or none at all. Now, when we look at the confidence intervals (CI), we see an interesting thing. The active Christians have a CI on this question of 87.7% to 93.2%, non-active of 58.6% to 66.0% and non Christians of 10.8% to 17.2%. I hope you’ve spotted the key observation here – the CIs of the non-active and active Christians don’t cross over so we say that there is a clear statistical difference between the two groups. To put it another way, non-active Christians don’t believe the same thing as active Christians on the Resurrection. I’ve put that observation in bold because it’s incredibly important. When the BBC report that “Christians” do or don’t believe a certain thing, they are throwing together a whole group of people ranging from those who are active members of a worshipping community (taking their faith seriously) and those who might call themselves Christian but don’t ever do anything “Christian” with anyone else who is a Christian. This difference is suddenly very apparent when you separate out active and inactive Christians; suddenly the inactive ones look very different to those who are actively engaged in a Church. Indeed, when it comes to the core belief of Easter, the inactive Christians are very different from active Christians. And guess what – this observation continues question after question. In the table below I show you the Confidence Interval for each key question for our three groups. In almost every single case there is a clear statistical difference between the inactive Christians and the active Christians. On many questions the inactive Christians look far more like the non Christians than the active Christians (for example, believing in the Christian understanding of life after death, believe in a literal physical resurrection). Now, I’ll leave it for others to explore why some active Christians don’t believe core Christian doctrines (the physical resurrection of Jesus, life after death etc). All I want to point out here is that when you dissect the “Christians” into active and inactive, it’s not just that the inactive don’t look like the active, it’s that the inactive often don’t look much different from those who don’t claim to be Christian. Moving forward it seems clear that those who commission opinions polls of this sort need to clearly distinguish between active and inactive “Christians”. The way that ComRes do this (stratifying by church attendance) is probably the most convenient for accurate results and it does demonstrate a clear difference between those who are active members of their churches and those who claim the name “Christian” but aren’t part of any meaningful Christian community. Do active Christians believe the Easter story? Well probably over 90% do believe in the resurrection. Should inactive Christians who can barely scrape 60% belief in the resurrection be put into the same bucket as active Christians when reporting what “Christians” believe? Given that these inactive Christians are clearly statistically different from active Christians, might I humbly suggest the answer to my rhetorical question is “No”. 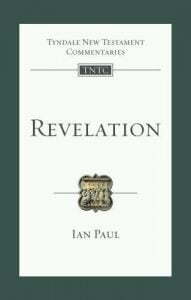 Ian Paul adds: Peter’s analysis above raises some very interesting issues in a number of directions. First, we can observe that actually attending a church makes a difference to belief. It might be argued that going to church teaches you Christian doctrine; or it might be argued that if you believe Christian doctrine then you will attend church. But either way, church attendance and conformity to Christian belief do indeed go together. Attendance (‘bums on pews’) really does matter. Secondly, this means that Gavin Ashenden’s theological point—that belief in the resurrection is such a core Christian belief that it doesn’t make much sense to call yourself a Christian without believing in it—is also true sociologically. Belief in the resurrection does indeed correlate with active Christian involvement. 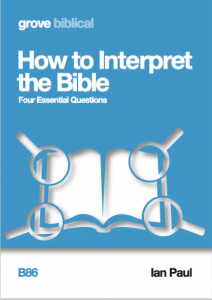 Lastly, this has an impact on other surveys which purport to show ‘what Christians believe’. In January last year, Jayne Ozanne commissioned a poll which ‘demonstrated’ that the majority of Anglicans supported her view on sexual ethics. But the poll did no such thing, precisely because it did not ask a stratification question about church attendance in the way the BBC ComRes poll did. Given that such a question is so important, it would be hard to justify not including such a question in your survey—unless, of course, you wanted to fix the results and get the answer you were looking for. Thanks Peter and Ian, really insightful – I’ve emailed the BBC’s Newswatch – will let you know if I get a response. It’s the first link in the article. Oh, FGS. Grow up. In the west, at least, we’re not a persecuted minority. I am a Christian. I believe in the resurrection; I’m also a Liberal (and proud of it), and I can’t begin to tell you how much I despise the attitude that says we should have a special place in society. We should not be in power, arranging society how we like it. We have no divine right to special treatment by the press. Read this http://www.patheos.com/blogs/formerlyfundie/please-american-christians-can-we-stop-complaining-about-persecution-now/ , substituting the word British in place of “American”, and please, stop whingeing. Personally, I think that whiny Christians complaining about persecution because we were asked to remove a prominent piece of jewelry, or to stop denigrating homosexuals, or to allow Sunday trading, is what’s causing the emptying of churches – and what a good thing. As an analysis of the BBC’s reporting, this was really interesting, but as an example of persecution, less so. The BBC is full of hard-working journos. And some lazy ones. It gets things wrong on all sorts of issues – we’re not a special case. Grow a pair. Actually we made a statistical blunder in adding the columns. Please check the corrected data above. Very good piece, thanks for doing the digging to reveal what is actually good news for active Christians. I think we all know the BBC has a deliberately Secular Humanist viewpoint on most things. I have lodged a complaint with the Beeb (won’t hold my breath!). Hardly surprising coming from the BBC. Unfortunately they seem to believe that going to church making you a christian would be akin to going into a garage making you a motor car. A manifestation of the so- called ‘cultural christianity’ so beloved of sociologists of religion. We’ve noticed an Excel error in the initial analysis. Just updating the blog to clarify the data. Ian there are number of errors, confusions in this piece which do need to be cleared up. But before that my biggest point is, WHY OH WHY do we have to complain about the reporting of this poll. We as Christians make a BIG NOISE about the fact that the historicity of the resurrection is the corner-stone of our faith. We tell people “go and investigate it for yourself”. It is completely fair then that a national media outlet will publish a poll like this. 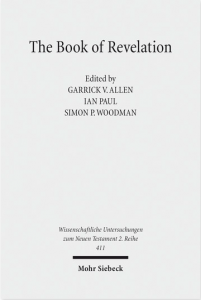 Why don’t we use the interest in a piece like this (which I’ve read twice and is pretty fair, it could be improved by making SOME of the points Ian makes) as an opportunity to talk about the reliability of the resurrection, to tell the story, and to show that it stands up to scrutiny. Or instead we can ONCE AGAIN make Christians out to be defensive and pedantic (“Don’t question Easter!”) at just the time we should be confident and courageous in our proclamation, just as we did over the stupid Easter non-Easter Egg hunt issue that was such a pointless distraction. I’m glad on the day of Pentecost the disciples weren’t writing letters to the Temple complaining about the belief in the “disciples have stolen the body” but instead getting out telling the real story with joy and courage, declaring the truth and inviting people to respond. On the errors, pedantically, there are not 64 million voters in the UK, unless toddlers have been given the vote, and the “polling public” is much closer to 40 million. This changes the Margin of Error. Secondly, two polling numbers 4% apart with a “margin of error” of 3% are NOT a statistical tie. They are “within the margin of error”. Correctly you could say they are a “statistical tie or statistically 10% apart” but better to just use “within the margin of error”. This means they could, realistically be 10% apart and only repeating the poll 100 times could we find out the truth (where of course we would also get 3 crazy outlier results). Not sure what the errors are. I’ve made it clear that actually things are slightly more complicated than just comparing the two sub sample CIs. If we had the raw data we could do some paired t-tests. We could assume a binomial or normal distribution of the observations in sub samples to the population and then test the combined 95% CI that way. But using the raw univariate CIs is, for a layman, easy to understand. If you think a 1000 sample is going to deliver a different standard error when compared to a 40m or 64m population then I really think you are clutching at straws. Fair point – it is more the phrase “statistical tie” which is used so frequently in the media and is a lazy way to speak about margin of error. I think also the problem I have with some Christian responses to this poll is the way it is either trying to be dismissed (“Let’s complain again!”, because that really helps our evangelism), or spun to say something that it isn’t (one commenter above seems to think that this poll is now “good news for Christians”). The CofE response was in this boat – “good news that 9% of no religion believe in the resurrection”, rather than being realistic and motivated in our evangelism that 50% of the population who don’t at all in any shape. I don’t think you (Peter and Ian) are doing that (although do we have to encourage people to complain again??? ), but simply highlighting a very helpful truth than those who call themselves Christians but do not attend church have beliefs that are indistinguishable to non-Christians. Adrian, thanks…but why the assumption that it is either/or? In my experience, those who complain about misreporting are generally also the ones who are out and about joyfully proclaiming. But of course on the day of Pentecost they didn’t have the internet. In what way is confronting the chief priests (as they did) in essence different from a person complaining about bias in the BBC—speaking truth to power? They did not confront the Chief Priests – they were arrested and asked to stop preaching. They then said why they couldn’t. They then went home and didn’t start a letter writing campaign, they went on preaching. If we Christians get arrested, or asked to give a reason for our hope, then we should do the same – but I really don’t see the early Church complaining about their authorities, or anti-Christian propaganda. And let’s be clear – the BBC piece is NOT ANTI-CHRISTIAN propaganda – it is a fairly fair reporting of a poll, which with the differentiation you highlight between active and non-active church goers it would be a bit better. To compare this with being arrested and brought before the Sanhedrin is a bit silly. It took a while, but contrary to my initial misgivings, I’m inclined to agree with you. 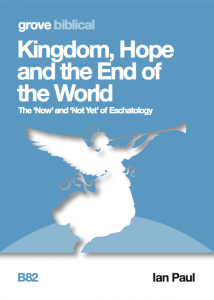 So, a Christian letter-writing campaign can be consonant with the mandate to proclaim the gospel to the extent that it emphasises fairness and echoes this moral indictment of the Holy Spirit. Despite this, the spread of the gospel would have not been anywhere near as pervasive without the signs and wonders by which the Holy Spirit incontrovertibly corroborated the apostles’ eye-witness testimony to the resurrection. So, my main concern is that, while expertly argued apologetics and even complaints against the injustice of prejudiced reporting are not inimical to the gospel, this approach can often betray an almost cessationist over-dependence on rationalism instead of the miraculous intervention of the Holy Spirit. Now I’m annoyed. My Amen was to a comment by Adrian. This is anti-liberal bias on the part of this website. Please let me know where to sent my letters of complaint. P.S. Ian, the other reason I think we should be extremely careful about when we complain is that so often it hampers our evangelism. The Easter Egg, non-Easter Egg Easter hunt complaint in a classic example and was extremely ill judged by ABY and totally pointless, and did not in any way help our evangelism. Complaining about this poll (which once again, has NOT been misreported, it just could have included a lot more interesting and enlightening information as you have highlighted) just comes across as “Christians moaning about a poll they don’t like”. I do think going into Easter being needlessly angry at the BBC, DOES affect how well we will share the gospel, but perhaps more importantly reveals something about how realistic are our expectations about secular society and media how it works. As many American pastors are realising, this constant complaining and being angry about the culture, the media and waning beliefs of society, does not just hamper evangelism, it puts off younger people from staying in the church. Well, a. I am not angry. I just think the BBC has reported this incorrectly, and as a public broadcaster it should get it right. Secondly, the way it was reported betrays a lack of understanding of religion—and at a time when both it is being recognised that we need to understand religion to understand society, AND the BBC are closing down and outsourcing their religious broadcasting. I think that it worth protesting…? No I don’t think it is worth protesting at all. They have not reported it incorrectly, they just haven’t used some of the nuance that you have. The headline 25% of “Self-identifying” Christians do not believe in the resurrection, would have been better, but as an article it is pretty well rooted in the evidence (I’ve seen the Com Res raw data), and pretty fair. You paint a positive picture on the numbers (as the CofE tries to do), or you can be even more negative on the numbers and still be fairly fair with the stats (i.e. it’s not incorrect and wrong, and a massive injustice against Christians). You could in fact have written a just as fruitful piece, focusing on the 7% of active Christians who don’t believe in the resurrection at all, and teasing out what those “active Christians” who don’t believe the literal version of the bible might believe. I’m interested in whether some of those “beliefs in the resurrection” are almost indistinguishable from not believing it in at all. Whether you are angry or not (and I’ve always found your blog to be very measured), it unfortunately plays into a narrative that already some of the commenters have jumped on, that there is a war on Christianity in culture and at the BBC. I’m just so tired of hearing Corbynites complaining the BBC is right-wing, and UKIP-ers complaining it is too left-wing, secularists complaining it is too Christian, and Christians complaining it is too liberal. When the way we respond is indistinguishable from the world around us then it truly hampers our evangelism and, yes, it makes Christians unnecessarily angry (although I know that is not the intention). 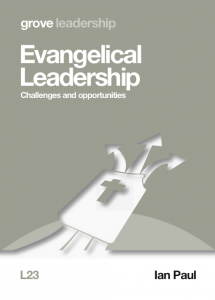 Do you have any evidence that ‘complaining’ hampers evangelism? Because on the face of it we should surely stand up for what’s right, pointing out where those with power are doing things wrong and mistreating Christianity. I also can’t understand why you see the Cadbury egg hunt controversy as generating negative public coverage. It gained a decent amount of sympathetic comment in the media, and even the PM used it as an opportunity to defend the place of Christianity in public life. What’s to complain about? Christians should be forthright in standing up for Christianity. Standing up for what you believe in is attractive to potential believers. It demonstrates the vitality of your convictions. The very fact that you see complaining about the Easter Egg hunt and this BBC poll (which once again seems to have been fairly, if incompletely, reported) as “defending” Christianity from “mistreatment” shows where the problem lies. You portray it as standing up against a terrible injustice, when it really isn’t. We truly do not show the attractiveness of Christ by getting cross that the word Easter was not used in an egg hunt (when actually it was, and had been advertised the same way for many years, and anyway what have egg hunts got to with Christianity anyway!!) or by complaining the BBC are not using a more nuanced understanding of what constitutes a Christian. Yes, complaints like this (unnecessary and pedantic, not all about a real issues of justice) do hamper evangelism. It hampers my evangelism amongst my friends who feel that Christians are simply moaners who take offence at the stupidest of things; it hampers evangelism from and to younger Christians who feel older Christians are just permanently angry about culture drifting away from them (Andy Stanley has written about this, as have a great many others, to little effect in the US); to many of us (myself included) who just wish we could stop jumping on the outrage bang-wagon every time some minute thing happens (a “gay” scene in a Disney movie, an Easter Egg hunt missing the non-Christian word “Easter”, a fairly reported poll). It is far removed from the approach of the Early Christians, who had a much less generous and peaceful atmosphere to evangelism in. I can see you feel strongly about this. But given the largely positive media coverage of the egg controversy and the PM’s intervention, and your lack of anything except circumstantial evidence for your claim that this has hampered evangelism, I just don’t find it persuasive. When you bear in mind that cinemas currently think the Lord’s prayer is offensive material for an advert, there does seem to be a trend worth standing up against, and many of the friends of Christianity in the media seem to agree. Obviously not everyone approves of Christians standing up for themselves, but such people hardly going to be front of the potential convert queue. To be honest, given the tone of your comments you sound like you may be partial to a little complaining yourself! Just directed at your beloved fellow believers. Lucky us. I think the fact that you think the media coverage of the Easter egg controversy was positive, and that the PM’s intervention was good, probably shows we read very different media outlets 🙂 . I certainly don’t think that standing up for the word “Easter” in egg-hunts, or taking issue with polls showing that “shock horror” many Christians who call themselves as such don’t believe in the resurrection, are battles worth fighting. The Lord’s Prayer issue was different, but rather than complain we used it to flag up our sermon series “The Prayer They Tried to Ban!” and used the opportunity positively. To see the damage “culture war” moaning does to evangelism read some of Andy Stanley on why millennials are leaving the church. Yes, you are probably right, I do get cross about Christians moaning about their culture. But as I read the gospels, I do detect that both John the Baptist and Jesus got more cross with the religious who complained about how irreligious the people around them were, than with the non-religious themselves. For now, let us agree He is Risen, and use all our energy to share that Good News, then perhaps the stats will be much more positive next year! Blessings to you Will. I think there is an asymmetry in reporting here that needs addressing. The state broadcaster has a duty to report news accurately and impartially which in one sense (as Adrian pointed out), they did. However as Peter and Ian have shown, there was no real intelligent analysis in the reporting of the poll and the basis by which it was made. Instead the BBC gives the impression that the poll is based on reliable statiistical evidence. Such a report also has a ‘shock’ value in journalism that attracts people’s attention particularly at Easter. Now my guess is that this is mainly due to the religious illiteracy of BBC journalists rather than any inbuilt bias against christians (although I don’t think the BBC cares for them that much). Yet the BBC is influential and communicates and reaches a wider audence in the UK than any church ever could and in this sense is able wieid more power over public opinion, It could thus be argued that it has a disproportionate effect on what people think about the resurrection. For this reason alone it is right to challenge the findings of the poll even if it is just to educate their journalists, let alone make the public more aware that the poll is based on shoddy analysis. Would be interested to know what respondents understood “resurrection” to mean: did they all take it as “Jesus physically rising from the dead, in God’s power”; or was the meaning more diverse, encompassing everything from spiritual resurrection to resurrection as a metaphor for the disciples’ restored hope in Christ? Ties in very much with Robin Gill’s finding in Churchgoing and Christian Ethics. Weekly attenders were found to be far more Christian in the ethical positions they took – less racist, more ready to help others etc. 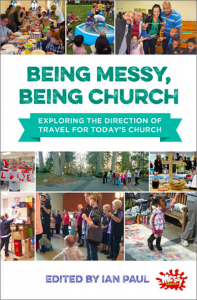 A couple of decades down the line from Gill’s book it certainly raises the question of whether we have adequate expressions of ‘active Christianity’, given the fact that even serious church members attend less than weekly. Gill’s findings suggested that going to church weekly (not monthly – that had little impact on attitudes and actions) did make a difference. In a climate of less frequent attendance, the challenge of encouraging serious discipleship is of fundamental importance.